Reminder...In order to participate in our clinics, the player must be registered for the 2019 Spring Intramural Season. Registrations will be accepted on-site at the clinics. Baseball fundamentals will be instructed by Bill O'Connor. Bill was drafted by the Minnesotta Twins after being an NCAA All-American outfielder and setting numerous hitting records at Adelphi University. Pitching clinics will be instructed by Tyler Levine. 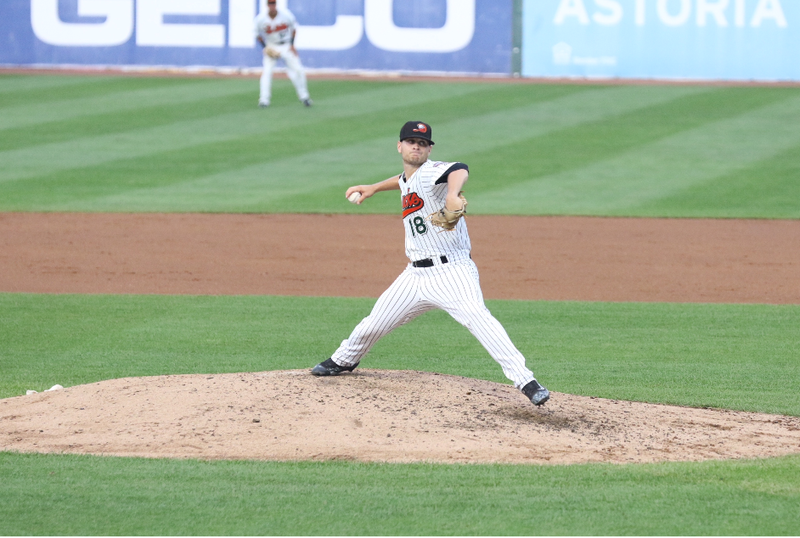 Tyler is a former East Meadow Little League player and former Pitcher for the Long Island Ducks. EM Girls Softball Winter Clinics - *Note: sessions to be assigned by GSB. Please send an email to Matt Lipack, mattl@embsa.net with player's name, time slot requested (6:00pm-6:40pm, 6:40pm-7:20pm, or 7:20pm-8:00pm), and the player's age. All player's must be registered to attend the clinics; registrations will be accepted at the door. Space is limited, please do not sign up if you are not going to utilize the time assigned and if you are not available on Monday evenings from 6:00pm to 8:00pm. **Please note the times as the type of training alternates each week in accordance with the stated division. EM Mini League Clinics - *Note: sessions to be assigned by Mini League.